Essentially, amiibo are character figures that allow you to connect directly to your amiibo-compatible games. Super Smash Bros. for Wii U can read your amiibo and transform them into what we call "figure players" that will join the battle with – or against – you! Figure players can fight on their own and will grow in ability. Depending on how they're taught and raised, the capabilities and even the personalities of figure players will change, making each amiibo uniquely your own. The more your figure players fight, the quicker they will increase in level. The higher your FP’s level is, the better its attack and defence stats will be. The maximum level for an FP is 50. A figure player's levels will increase even faster if you take it to a friend’s house to play or let it fight against other FPs. Figure players will pick up tactics from strong opponents. There is no maximum level for this – FPs will always be willing to learn from superior fighters! Feed equipment you pick up in the game to your figure players to raise their attack, defence and speed. You can also give a figure player up to three abilities by feeding it equipment with special attributes, and you can customise your FP's special moves as you do with other fighters in Custom mode. Figure players will obtain custom parts and gold during their battles – and they’ll then give these gifts to you after the fighting is done! 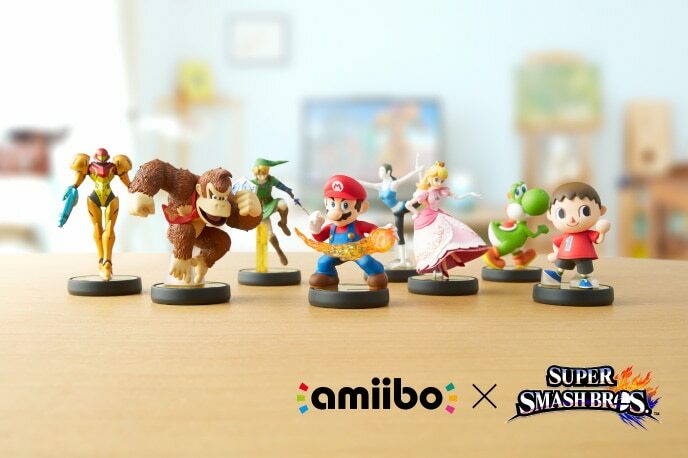 To see the full amiibo line-up, please visit Nintendo's official website. Images taken during development. Final products may vary from those shown. Note: Nintendo 3DS systems will be compatible with amiibo functionality using a peripheral device, scheduled to launch in 2015. Stay tuned for information on Nintendo 3DS games that will be compatible with amiibo.